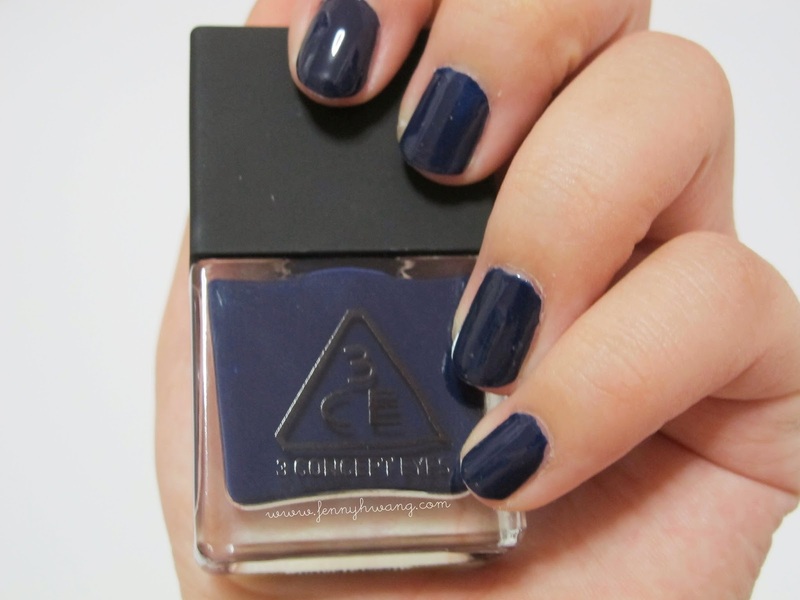 Just wanna update on the color that's currently on my nail - NV01 from 3 concept eyes. Its a dark navy color that looks darkkkk navy to black unless in light or seen upclose. I would say that application is smooth, non-streaky but takes two coats to be opaque. It does not have a glossy finish so I applied my HG top coat from Seche Vite. Am totally loving how it makes my short nails look polished (in real life, haha) and picture does it no justice. My current nail routine goes like this: cuticle scrub (Holika Holika), OPI Nail Envy as base coat, Nail Color, Seche Vite Top Coat and OPI Avoplex cuticle oil applied lightly. 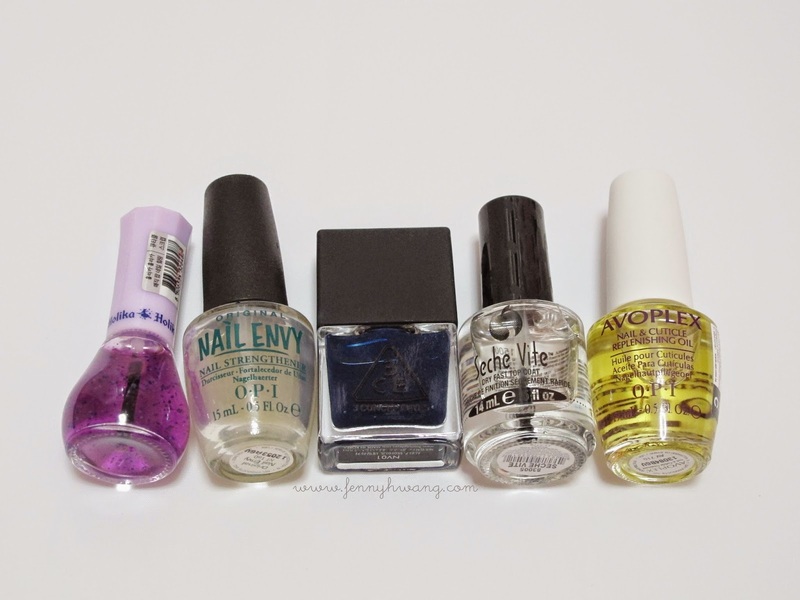 I recently try having nail care products in the routine to protect the cuticles and nail bed. Working great!